While staying true to a deep generational legacy, this established local icon wanted to expand their appeal to a wider audience and their parents. A clearer identity was the place to start. Working closely with the steering committee and our research partners, we conducted a series of focus groups and interviews. 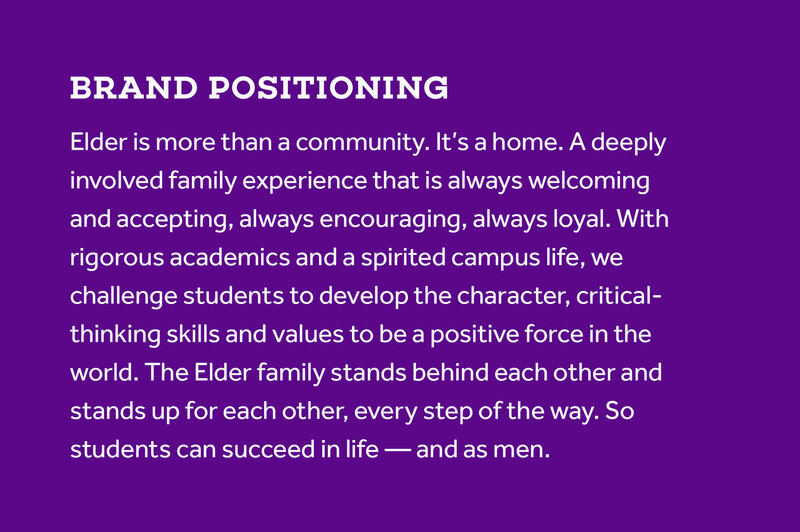 In speaking with parents, students, teachers, staff and alumni, we were able to form a detailed picture of the school’s unique reality, ambitions and spirit. Then we encapsulated it all in a position statement and key messages as a foundation for all marketing and communication. 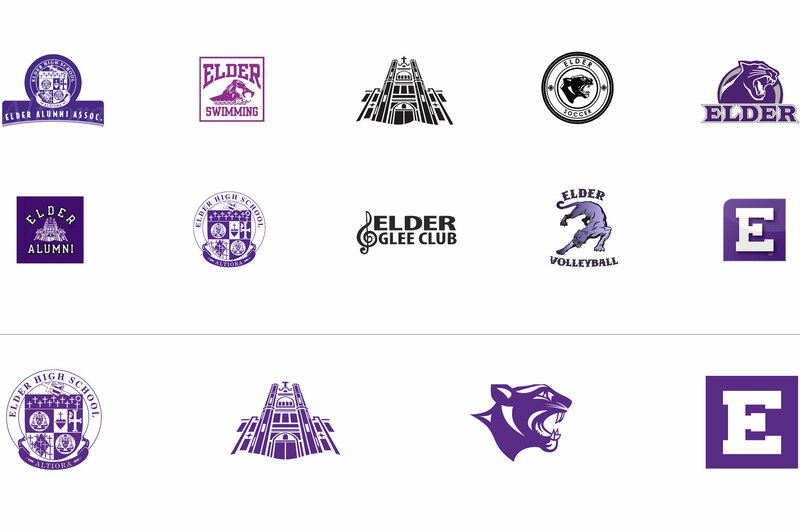 Elder passion runs high; this was evident in the number of logo derivatives and spinoffs we collected during an initial identity audit. We streamlined and updated these variations into a focused system of four sanctioned marks. 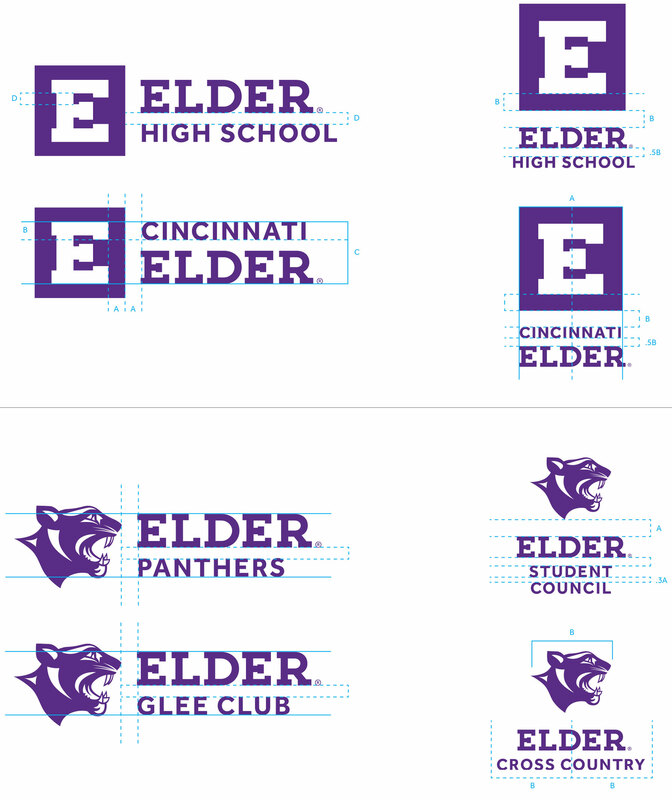 These marks needed to satisfy the interests of organizations, clubs, academics, recruitment, sports, alumni, and especially spirit wear—always a hot button issue for students and alums. To accommodate multiple uses, we explored type variations and orientations, creating a flexible ID and typographical system. For long-term consistency, we also created a set of directions for using the standard marks with type, along with several examples. The entire project was collaborative, from beginning to end. 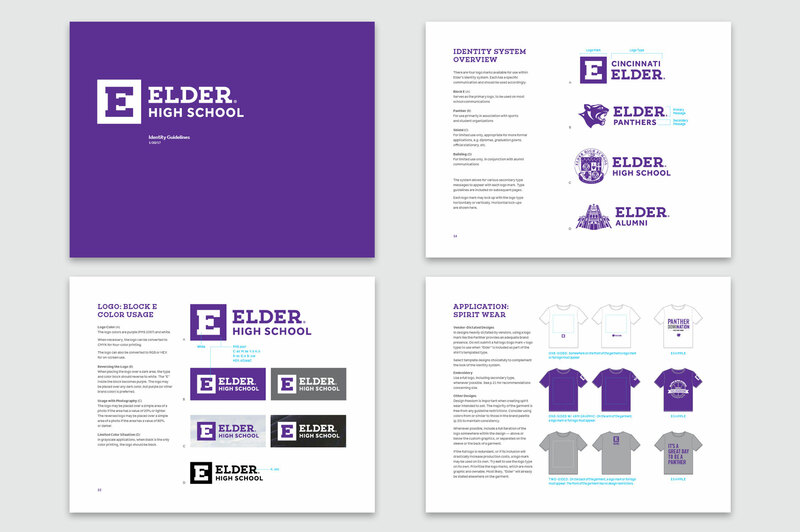 Thanks to our client’s involvement, we knew that the new brand guidelines would meet their various needs. We went over our findings with the steering committee, educated them on the particulars and trained a number of brand ambassadors who would make sure the guidelines were adopted by everyone involved.